Being able to use a secret code word to buy drugs at a fast food drive-thru always sounds like some sort of urban legend… until time and again knuckleheads get busted for actually doing it. 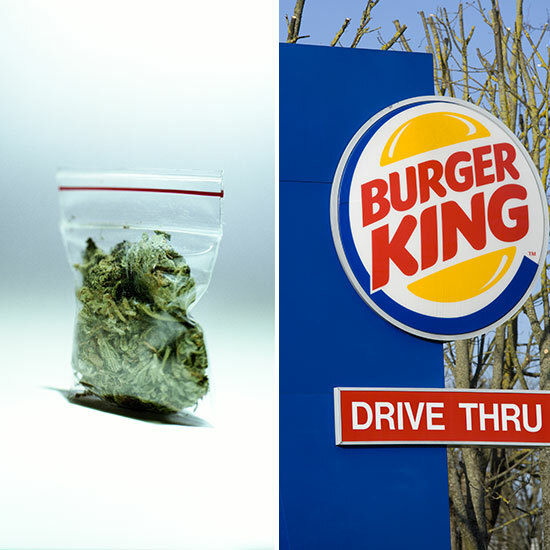 The latest incident happened at a Burger King in Epping, New Hampshire, where 20-year-old Garrett Norris and his 19-year-old shift manager Meagan Dearborn were arrested this past weekend for allegedly selling marijuana out of the burger joint’s drive-thru window. According to NH1, Norris was charged with possession of a controlled drug with intent to distribute, while Dearborn was charged with conspiracy to distribute a controlled drug, as well as unlawful possession of alcohol – which may come in as a handy excuse for why she was supposedly letting some dude sell pot out the drive-thru on her watch. The good news for Burger King is that police said no one else at the franchise was aware of the illegal activity including the owners. Though with such obvious code words, maybe these franchise owners should have been a little more aware of what was happening at their business. “The Franchisee, who independently owns and operates this location, is cooperating fully with local law enforcement,” a BK spokesperson told Munchies. Looks like pot patrons at this Burger King drive-thru will just have to go back to buying their marijuana the old-fashioned way… in the parking lot of a fast food restaurant.